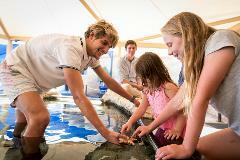 Excursions that educate and entertain... SEA it all at AQWA! 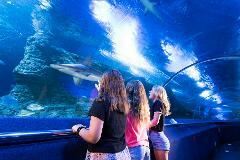 Discounted educators rates are exclusive to WA schools visiting Monday-Friday during school term. Excludes weekends, public and school holidays. 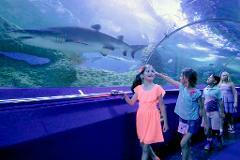 Excursions that educate and entertain... SEA it all at AQWA! Discounted educators rates are exclusive to WA Universities. From the iconic and incredible to the rare and unusual, discover more at AQWA! Sharks, stingrays, turtles, seahorses, octopus, jellyfish, lobsters, “Nemo” – An AQWA excursion is your window to the underwater world. 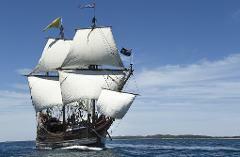 AQWA is passionate about harbouring an excitement and passion for the ocean. Home schooling educators will have FREE access with their students (valid upon presenting certification documents from the Department of Education. 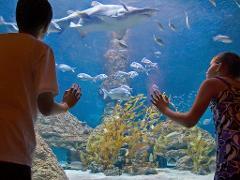 This new 3 hour marine workshop is perfect for those with a passion for marine animals and ocean conservation. A 'Marine Scientist for a Day' will generate wonder, respect. The tour includes lunch, animal feeding, slime and heaps more! Experience the excitement of sleeping under the sea! 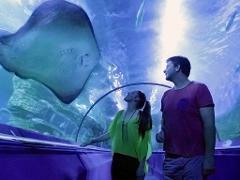 Discover more about our amazing marine animals with a night of exclusive tours, fun marine themed activities designed to educate and enthrall, and a sleepover with the sharks!